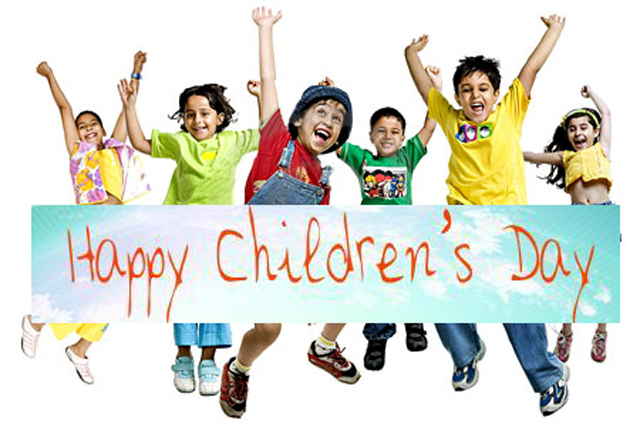 Today, we are celebrating the happy occasion of Children’s day. It is an occasion every child, every student love to celebrate. We all know that today is the Birth Anniversary of our first Prime Minister Pandit Jawaharlal Nehru, a leader our country will always remember. Pandit Jawaharlal Nehru loved children. So children also loved him. That is why children fondly called him Chacha Nehru. Chacha means uncle as we all know. When Chacha Nehru was alive children gifted him, Red Rose because Chachaji always adorned his coat with a fresh Rose. Nehruji was born on 14th November 1889 to Motilal Nehru who was a famous leader and lawyer. His mother’s name was Swarup Rani. Jawaharlal Nehru’s sister Bijaylaxmi Pandit was also a great diplomat of our country. Chacha Nehru’s daughter Indira Gandhi was our first woman Prime Minister. When Nehru was fighting against British rulers he was kept in prison by British Government in India. From the Jail, he wrote letters to his daughter Indira. These letters are called “Letters from a Father to His Daughter”. This is considered a must read the book for children. There he wrote about civilizations of the world and natural history. You may want to know how old was Indira Gandhi when Jawaharlal Nehru wrote those letters?? She was only 10 years old. (Many of you/us are now of the same age like Indira Gandhi when she received the letters from her father) Has anyone from you read this book? I insist that you read that book. You can buy that book or borrow from the school/public library. There are many things you may want to know about Chacha Nehru. Chachaji was a great political leader of our country. Nehruji along with Sardar Ballab Bhai Patel worked hard to shape the future of our country. Nehruji also worked for World peace. (Nehruji was a great leader of Non-Alignment Movement which gave the world the idea of staying away from was an international polarisation). He wrote many more books. So we must know about him. But we/you can learn them by yourselves. You should always save time to read great books apart from studying Textbooks and fun books. This will be you true tribute to your beloved Chacha Nehru when we/you become a learned person like him and contribute to our country. With this, I conclude my speech. And wish you a very very Happy Children’s Day. १४ नवेंबर का दिन भारत में “ बॉल दिवस “ के रूप में मनाया जाता है, क्यूंकी इस दिन बच्चों के प्रिय चाचा पंडित जवाहर लाल नेहरू का जन्म हुआ था. नेहरू जी बच्चों से बहुत प्यार करते थे . उनका विश्वास था कि बच्चों पर ही देश का भविष्य निर्भर करता है . जो आज बच्चे हैं , कल वे ही देश के नेता होंगे . बच्चों की कोमल निर्मल मुस्कान में ही देश का उजला भविष्य नज़र आता है. बच्चों के कार्यकर्म को देखते हुए वो भाव विभोर हो जाते थे. उनका कहना था की “ बालकों की आत्मा पवित्र होती है “. देश के प्रत्येक छ्होटे बड़े नगर में बॉल दिवस मनाया जाता है. 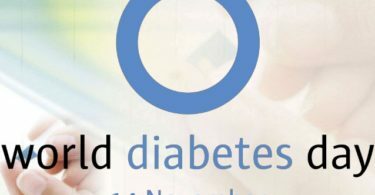 इस दिन स्कूल के छात्र एक स्थान पर इकट्ठे होते हैं. वहाँ पर अनेक प्रकार के खेलों के मुक़ाबले रखे जाते हैं बच्चे शारीरिक व्यायाम का प्रदर्शन भी करते हैं. गीत संगीत नृत्य और नाटक का कार्यक्रम भी रखा जाता है. चित्रकला की प्रायोगिता भी होती है. रंग बिरंगे वस्त्रों में सजे हंसते खेलते बच्चे उत्सव की शोभा को बढ़ाते हैं. बच्चों में पुरूस्कार और मिठाइयाँ बाँटी जाती हैं. पंडित नेहरू जब जीवित थे तो स्वयं इस उत्सव में शामिल होते थे और बच्चों के साथ हंसते खेलते थे. नई दिल्ली में बाल दिवस के उपलक्ष में नॅशनल स्टेडियम में मनोरंजक कार्यक्रम होता है. बच्चे पाठ संचालन, सामूहिक ड्रिल, नृत्य एवम् संगीत के रोचक कार्यक्रम दिखाते हैं. वर्ष में साहसिक कार्य करने वाले बच्चों को पुरूस्कार दिए जाते हैं. पंडित नेहरू इस उत्सव में अवश्य शामिल होते थे. उनकी मृत्यु के बाद ये परंपरा बन गयी की इस देश का प्रधानमंत्री इस उत्सव में भाग लेता है. गत वर्ष हमारे युवा प्रधान मंत्री श्री राजीव गाँधी इस उत्सव में पधारे थे. नई दिल्ली की भाँति प्रत्येक राज्य की राजधानी और छ्होटे बड़े नगरों में बाल दिवस मनाया जाता है. इस उत्सव में विकलांग बच्चे भी भाग लेते हैं. बाल दिवस हमें संदेश देता है की हम चाचा नेहरू की तरह देश भक्त और परिश्रमी बनें. उनके सपनों को पूरा करें. साथ ही यह राष्ट्र का भी कर्तव्य है की वह बच्चों की शिक्षा और स्वास्थ्य की तरफ पूरा ध्यान दें. चिट्ठी मे से निकली बिल्ली..,..
चिट्ठी मे से निकली बिल्ली..
कान मे झुमका, नाक मे बत्ती..
आग पे बैठा पानी ताप..
वि आई पी, वि आई पि उन्देर्वेअर बनियान..
चिट्ठी मे से निकला मछर..
मूंछ पे बांधे दो दो पत्थर..
मुसाफिर देख चांद की और..
वि आई पि उन्देर्वेअर बनियान..
Every year 14th of November is celebrated every year as children’s day. 14th November date has a great importance because it is the birth anniversary of Pandit Jawaharlal Nehru. He was the first Indian Prime Minister of India after the independence. I came to hear that was very fond of the children and had great affection for them. He liked very much to be among children as well as talk and play with them. Children were often used to call him as Chacha Nehru to show their love and respect for him. On 14th of November, people (including cabinet ministers and high officials) start gathering at statue (where Chacha Nehru was cremated) in order to pay homage to Pt. 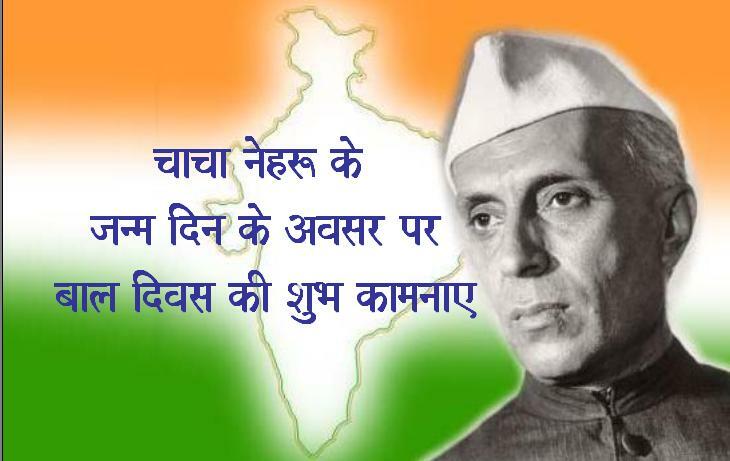 Nehru and celebrate this great occasion. A big wreath of colorful flowers is placed by the officials at his Samadhi following the prayers and Rhymes chanting are held. Children perform many activities in their schools to celebrate this occasion and remember Pundit Nehru’s sacrifices, contributions towards the country, achievements in international politics and peace efforts. Other cultural programmes including national songs, patriotic songs, speeches and stage short dramas are also organized.